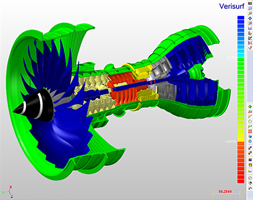 Verisurf continues to pioneer new, fully implemented approaches and techniques in Model-based Definition. Built on a robust CAD system, Verisurf software imports virtually all CAD file formats, guides users through tool building in real-time based on the nominal model, automates inspection processes for quality assurance, generates reports in graphic and text formats, and much more. Our software is faster and easier to use than ever before, with customizable toolbars, specialized menus and other valuable enhancements for use in both commercial and industrial settings. With Verisurf software, you reap the rewards of accuracy, convenience and continued productivity throughout the entire product lifecycle. 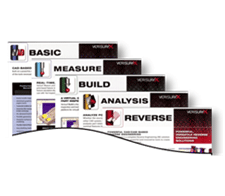 Easy and affordable for reverse engineering, education and training. Precise and portable for rapid in-process inspection. Automated, affordable and calibrated for high production inspection. Precise and affordable for fast first articles without programming. Digital scales, modern controller and powerful computer with Verisurf software. 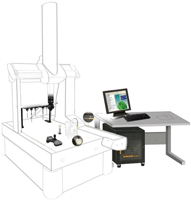 An open and modular system strategy that maximizes CAD and metrology interoperability. For students, educators and customers who desire to earn job ready manufacturing inspection, tool building and reverse engineering skills.